Amazing steps have been made to help diversify the emojis you find in your phone, but now, you can expect even more! No longer do you have to face canine discrimination when choosing an emoji to send to your friends thanks to UK charity, Dog Trust. The difficult decision between choosing a poodle or a puppy is no more! You can now chose from 23 of the top breeds in the new dog emoji keyboard. The breeds range from the small and adorable Dachshunds and Pugs, to large and cuddly German Shepherds and Great Danes. We also can't forget the more exotic breeds like the wrinkly Shar-Peis! The keyboard is now available for both iPhones and Androids and aims to help with canine diversity. The best part? 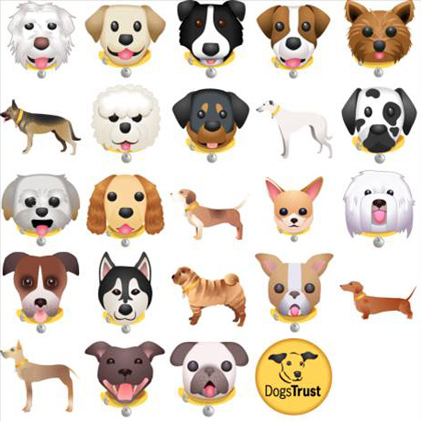 Each of the emojis are modeled after a dog looking for a home in a Dog Trust Center! iPhone users can go to 'Settings' and then General > Keyboard > Keyboards > Add a new keyboard. 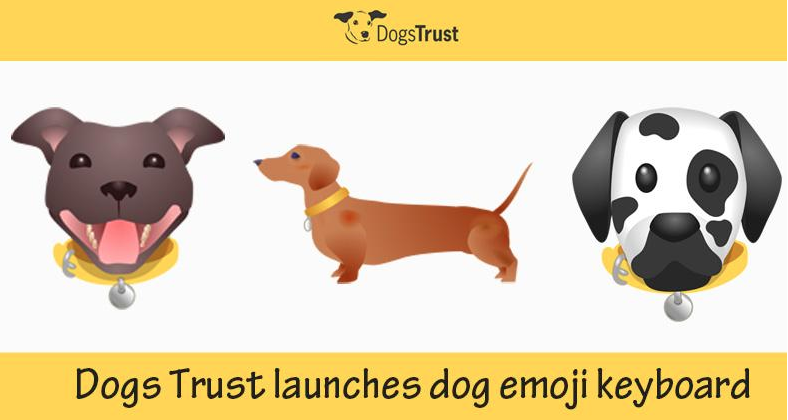 They must also select the "Dogs Trust Emoji Keyboard" and allow full access to install it. Adrian Burder, chief executive of Dog Trust, feels as though they have a responsibility to these animals. "As the UK's largest welfare charity, we have a responsibility to ensure all are fairly treated, and represented, in both the digital and real world." He also goes on to say that he commends the recent updates to help diversify the keyboard and felt the dogs derserved the same respect as well. "While we fully support the recent updates to diversify the emoji keyboard, with nine million canines in family homes across the country, we also feel deserve that same representation." If you are an iPhone or Android user, get out there and download these new emojis. Send to friends, family, co-workers and even your dog!